On this 2-day course you will learn all about working with graphite pencil from experienced artist Jamie Boots. Graphite pencil can be used to produce so much more than just a sketch. Jamie will show participants that. 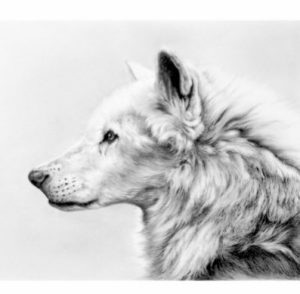 whether or not you are using a pencil that is blunt or sharp, pressing lightly or hard, or using a variety of tones, the realistic texture of skin, fur and the glassy look of an eye can be achieved.